Fablistic: Discover new products and places from people you trust. 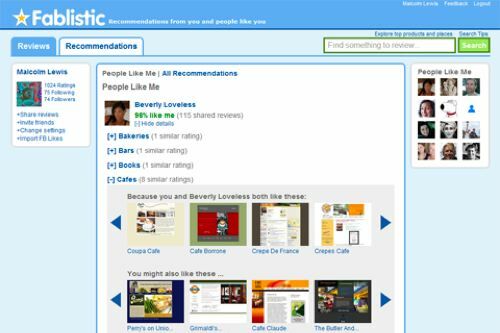 Have you tried out these free apps and metrics tools? Target audience: Nonprofits, social enterprises, brands, companies, cause organizations, educators, NGOs, Web publishers. Did you blink and suddenly realize everything around you is digital? The technology train is taking off! Here’s your ticket to reaching broader audiences with some useful social media tools. Today we’ll take a look at 10 free social tools that we think will help make your day go smoother. 1AppMakr is a browser-based platform designed to make creating your own iPhone app quick and easy. Its free drag and drop tool enables anyone to build rich content-based apps using a point-and-click solution. AppMakr connects to existing RSS and social networking feeds for easier app integration. You can monitor downloads, create image galleries and post alerts to keep all of your users updated. Then AppMakr allows you to gather feedback on your app before publishing. 2PeerIndex uses an algorithm to map influence on the social Web. The free service gives users influence rankings in predetermined categories so that, for example, nonprofits can determine which Twitter users exert the most sway in a given sector. A similar service is Klout. 3RowFeeder is the latest tool for social media monitoring and analysis. The free service makes it easy to input data and track keywords, hashtags or user names on Twitter and Facebook. And RowFeeder’s reports are compatible with Excel, allowing you to present your data professionally and easily. 4Quixey is a functional search engine for applications. If you’re looking for an app but can’t put your finger on its name or description, you can use Quixey to search apps based on their functionality. Quixey produces the most relevant search results by searching blogs, forums, social media and other sources to learn about each app. 5Panabee is a brainstorm engine for domain names. Its domain-name generator sifts through popular spellings and word pairings. Although many domain registrars have domain-name spinners that offer similar capabilities, Panabee’s specialty is in providing suggestions and phonetic variations of the domain name/phrase you’re interested in by querying Facebook, Twitter and the Web.